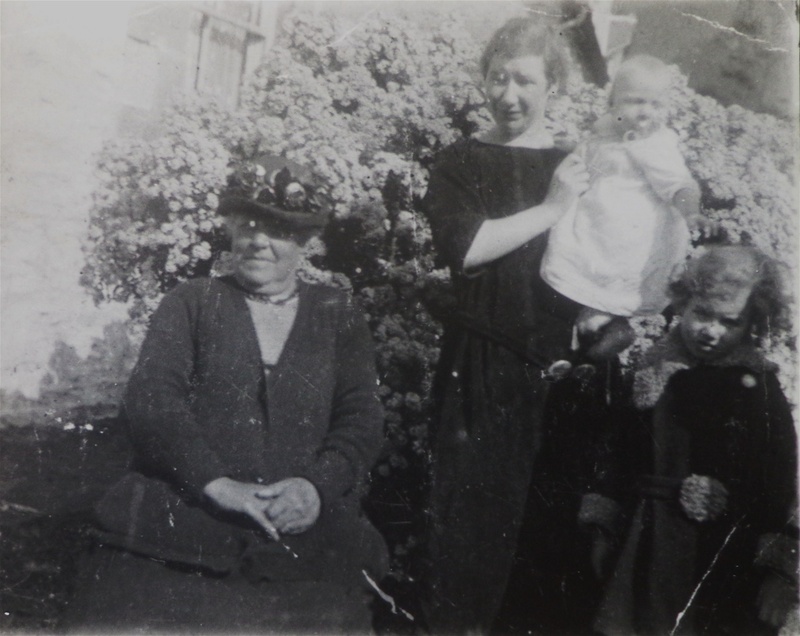 My grandma Hannah with Hannah Bullen and my Aunty Hannah. Aunty Marion is the baby. It's difficult to pinpoint the exact beginning of my search but I believe it started seriously when I was expecting our fourth baby. I was on maternity leave waiting for the arrival of baby Isabella (who turned out to be Dominic), and I had time on my hands and a mystery to solve. For some reason I couldn't stop thinking of stories my grandma had told me of her life. I was probably four when she started and I grew up hearing stories of her childhood in Greenock, being the only daughter of a fairly wealthy couple who were as she put it, 'in trade.' Their names were Francis Bullen and Hannah Jane Bullen or Hannah Jane Ward Wilson before her marriage. I believe that good stories challenge their readers and ask them to read between the lines; to search and find in them more than they at first reveal and these stories did exactly that; so much so, that thirty years after first hearing them I wanted to find out everything I could. I wanted to put flesh on the bones, to find out who the people she talked about were, where they had come from and to find out at least a small part of why they did what they did. Nearly twenty years later and I'm still doing that. I don't know if I'll ever stop - there seem to be an infinite number of connections, coincidences and shocks which reveal themselves as I click on yet another name or article or webpage. I began my search with Francis Bullen; of all the stories grandma told, so many of them were about him and how close they were. He seemed a perfect father. She told me how they would ride along the coast road in the pony and trap to collect parcels and how he would tell her about the sprites and fairies who lived among the dunes and grasses along the coast between Greenock and Port Glasgow. Hannah, my grandma was very proud of being Scottish. Her eventual husband whom she married in 1916, William Flockhart Cruickshanks, was a Pipe Sergeant Major in the Royal Scots Fusiliers and though he died in 1947, grandma brought him to life in the way that she cherished presents he had given her, photographs of him in his kilt and his First World War medals. Everything seemed so Scottish and I was brought up to be proud of my heritage. My dad used to show me the picture of the soldier on the bottle of Camp Coffee that he used to boil into an odd-flavoured, milky-sweet beverage and tell me that it was my Grandfather at his camp in India with his batman. I believed him - why not? I even told all my friends at school as well as my teacher who seemed to find my story funny for reasons I could never fathom at the time. 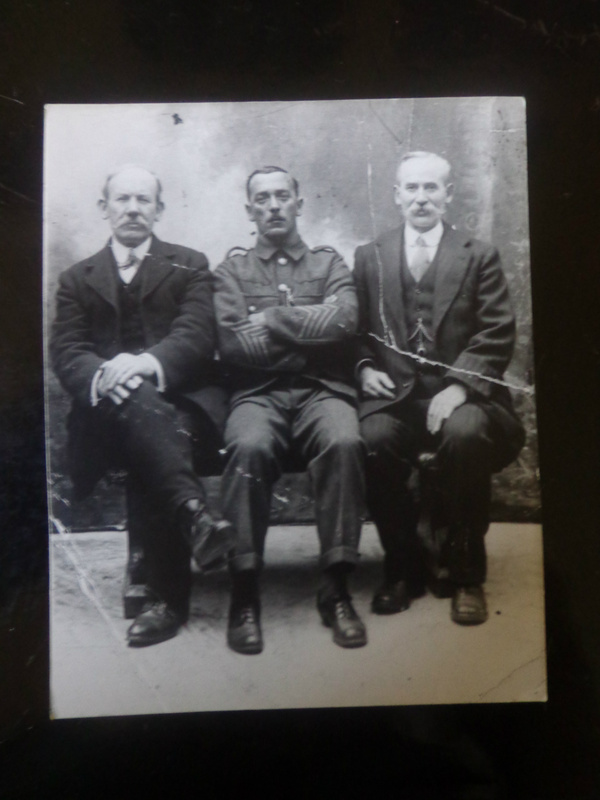 The man in the picture is my grandfather, William Flockhart Cruickshanks. I think this is either taken at a regimental reunion or when he was in the Home Guard. On his side, I'm as Scottish as can be; he was born in Edinburgh to Marion Flockhart and George Cruickshanks. His mother died when he was about 12 and his father remarried to a local woman, Jane Leighton. At some point, between his mother dying and the remarriage, William and his brothers ended up in the workhouse at Corstorphine just outside Edinburgh - they are listed as inmates in the 1901 Census. The story goes that after a while his father and stepmother became settled and were able to get the boys out of the work house. William however, resented what had happened so much, that he ran away and joied the Royal Scots Fusiliers as a boy soldier. His two brothers remained with their father and stepmother, working in the Glass Bottle Factory near their home in Portobello. John was killed in WW1 and James married a local girl called Euphemia - all this I only know from tracing back through records, for so deep was the rift between my grandfather and his stepmother, that he never saw any of his family again. After marrying my Grandma, they lived in Greenock, then Lochgoilhead in their summer cottage and then Clydebank. After running low on funds because of Grandad's lack of business acumen coupled with the economic difficulties of the Great Depression, he had to call on his army friends who helped him out by getting a job in the Customs and Excise department. Apparently, he thought he would be posted to Leith and would be going home but instead his job was in Liverpool and so we all moved to Crosby, where I spent my childhood and early life surrounded by stories and memories of life over the border. Imagine my surprise then, after being steeped in all this Scottishness, at finding out that Frances Bullen, my great-grandfather on my grandma's side, respected wine-merchant and freemason in the bustling port of Greenock, was born to an English father and the family had come to Scotland to start afresh and escape economic hardship in England. It seems strange now, looking back to 1930, I can envisage my Grandfather bringing his family down to England to start again and looking back again almost 80 years earlier, I see my great great great grandmother going in the opposite direction, but with the same purpose in mind.